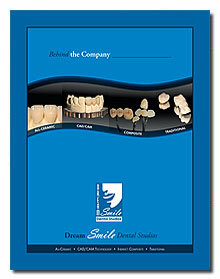 Dream Smile Dental Studio offers a net 30 credit term from statement date to all its customers. Invoices for which payment is not received by the 31st day are considered past due. All past due accounts are subject to a late charge of 2% per month. Dream Smile accepts: Visa, MasterCard and American Express. 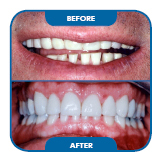 Dream Smile Dental Studio guarantees all restorations for five years, and one year for temporary restorations against all defects in material or workmanship. Dream Smile guarantees the restoration will fit the die/cast model (provided adequate reduction of the prepared tooth has been accomplished according to the manufacturers’ recommendations). Cases where failure occurs due to debonding or poor occlusion are not considered to be results of inferior workmanship. Guarantee does not apply if payment for restoration has not been received. Note: A 50% charge (entire case) will be applied to all-ceramic case remakes where an opposing reduction was made. 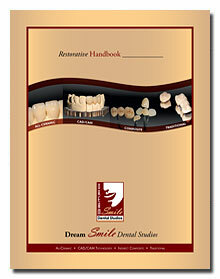 Dream Smile emphasizes customer training. This is accomplished through sponsored seminars and hands-on clinics, chair side and telephone consultations. This advanced training and our partnership with several prominent educators and lecturers, have assisted our customers substantially increase the revenue generated from each restoration, thus highlighting the value for the services Dream Smile can provide each dentist, increasing their customer overall retention. In addition to advancing our customers education, we invest in the latest technologies, materials, and equipments to help our technicians elevate their skills and techniques. Embracing latest technologies gives our technicians the opportunity to receive further specialized hands-on instructions in each of the products for un-equaled results, encouraging greater individual responsibility.